This would be an appropriate image for those letterbox logos that Marvel used to do back in the 80's. 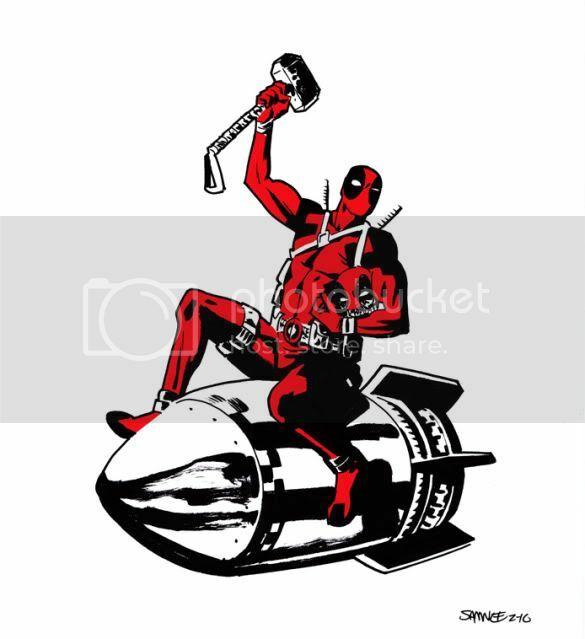 It really says it all with respect to the zaniness that is Deadpool. As it stands, it would be a pretty stellar T-Shirt design. Kudos, Sir Samnee! Absolutely awesome. And it's pronounced Deer-te.